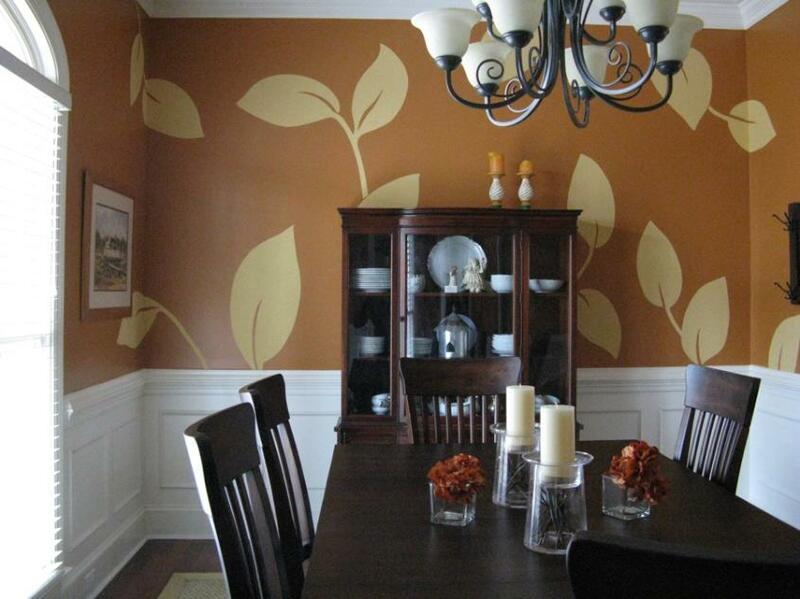 Above: Simplicity is the key in this dining room, yet still creating a dramatic effect. 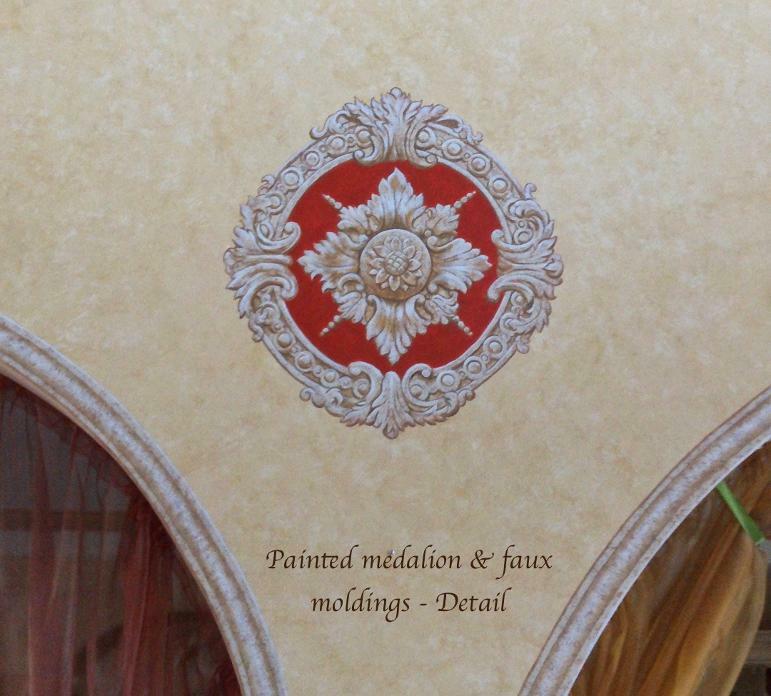 Below: Old world ornamentation bordered by molding. 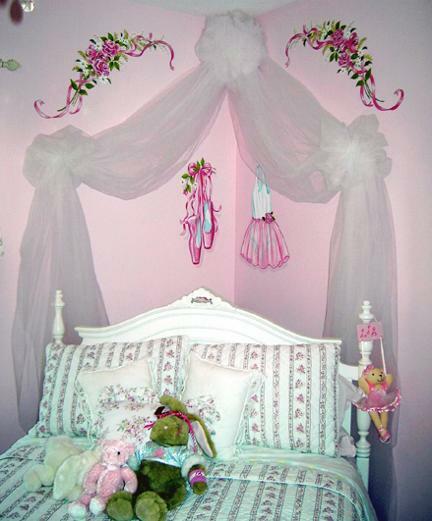 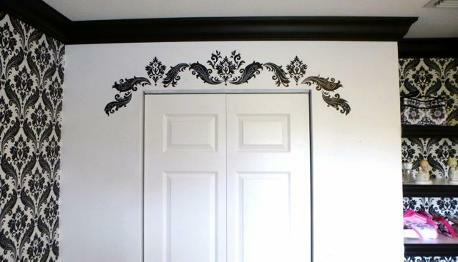 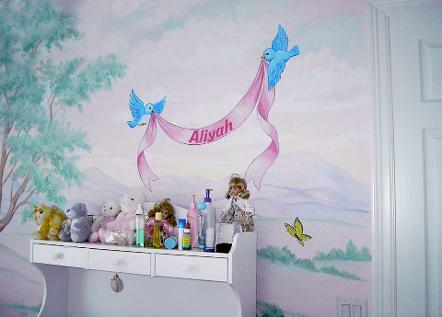 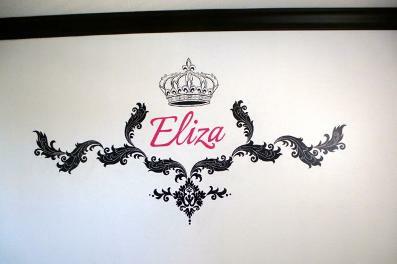 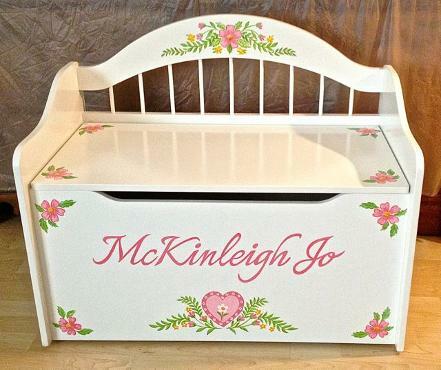 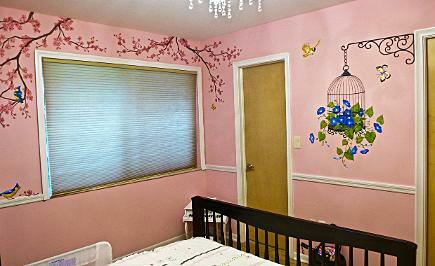 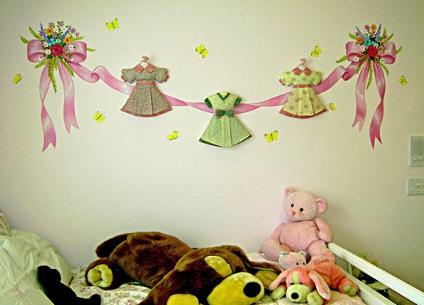 Below: Eliza's room was decorated with accents of black and white patterned wallpaper.The design above the closet door and the girl's name are painted as a finishing touch. 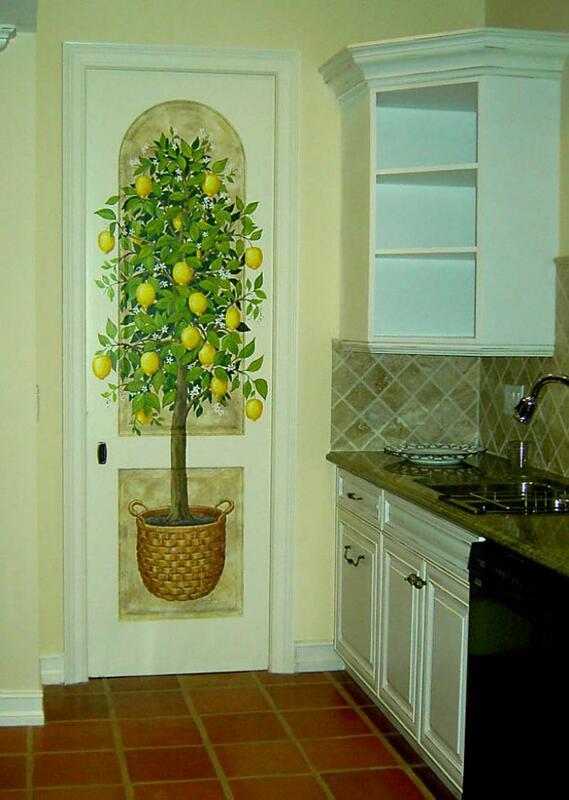 Below: How about a lemon tree on your kitchen door? 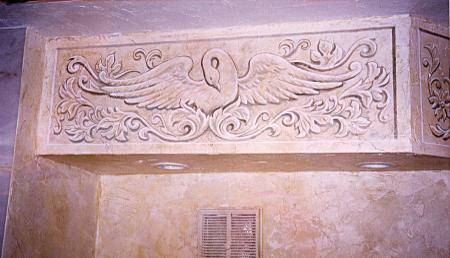 Above Left: This ornamental swan design gives the illusion of being actually a sculpted relief, but it is a hand painted illusion creating depth. 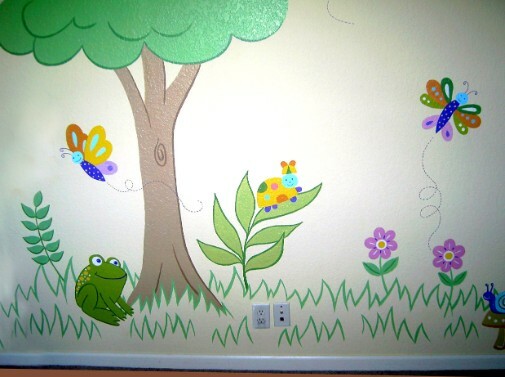 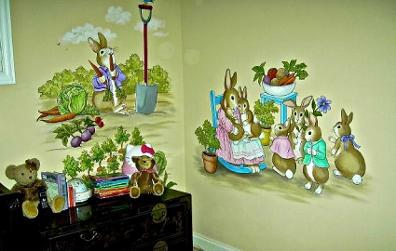 Above Right: Peter Rabbit characters enhance a baby's nursery. 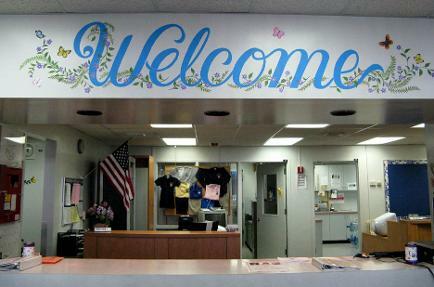 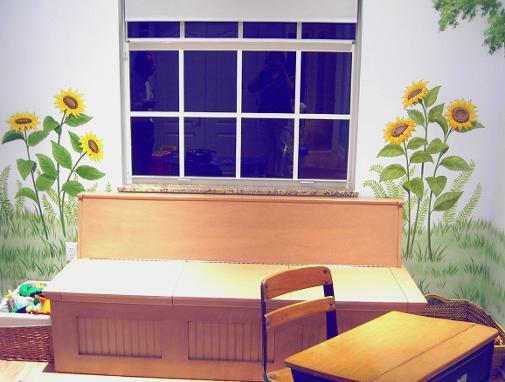 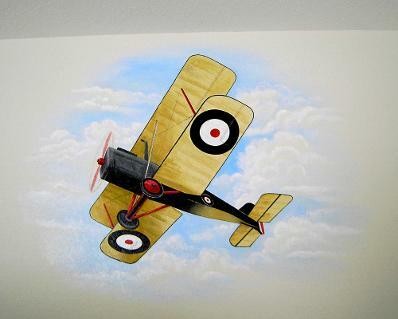 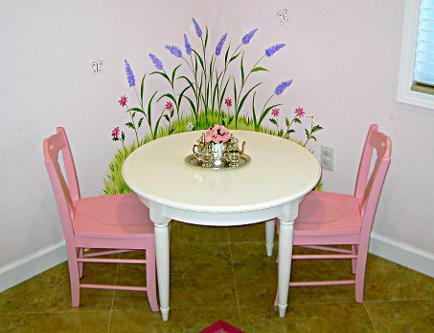 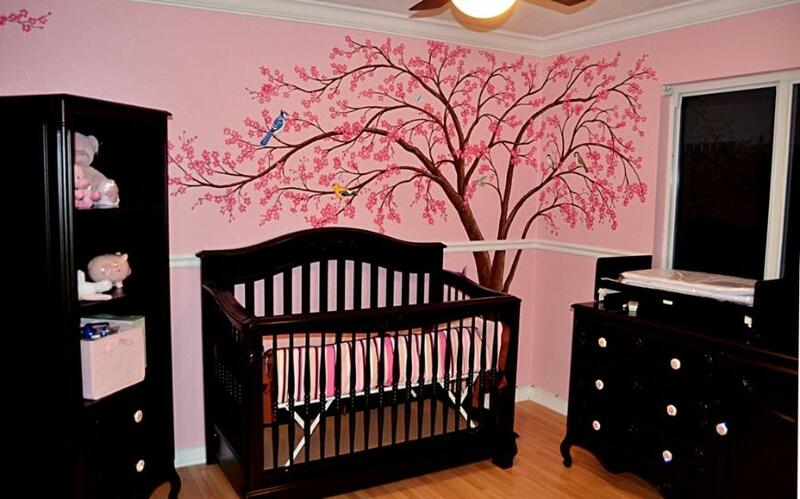 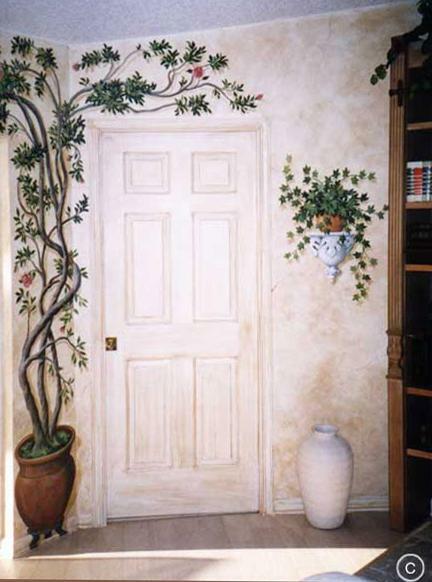 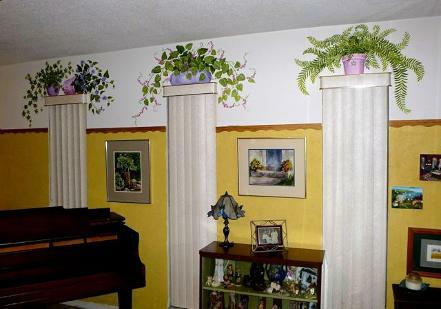 This shows that it is not necessary to paint an entire wall to get a pleasing effect. 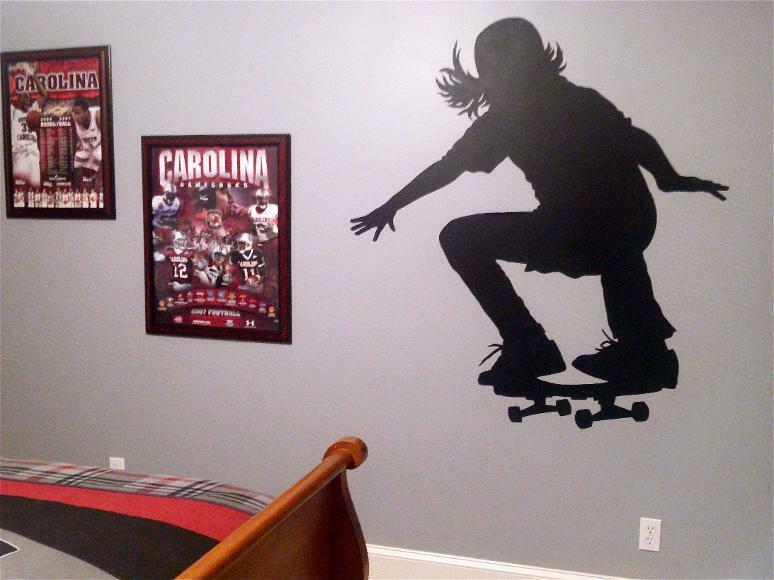 Above: A simple silhouette of a skateboarder makes a dramatic statement in this boy's room. 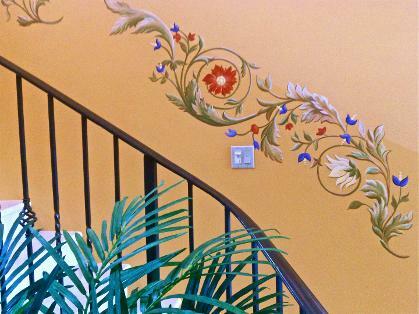 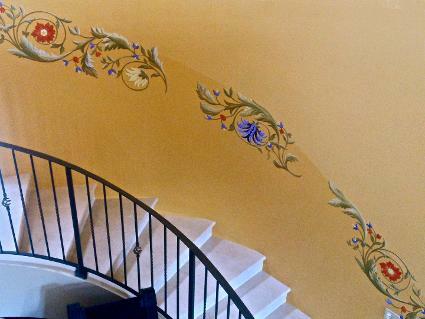 Below left and right: An ornamental design graces the wall all the way up a spiral staircase. 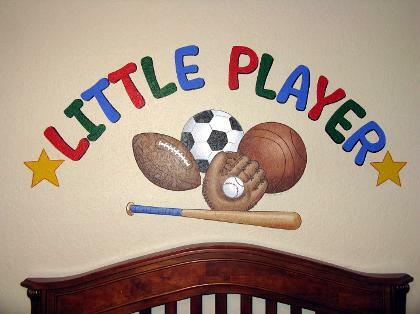 Above: This is as simple as it gets. 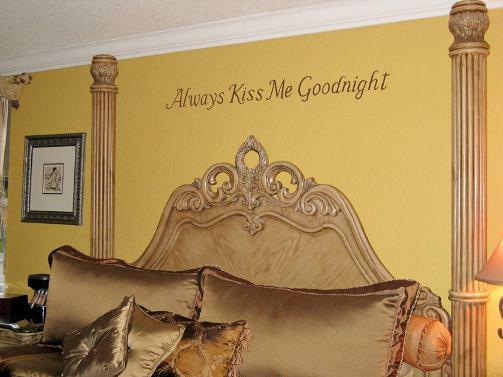 A thoughtful phrase or verse will always warm the soul. 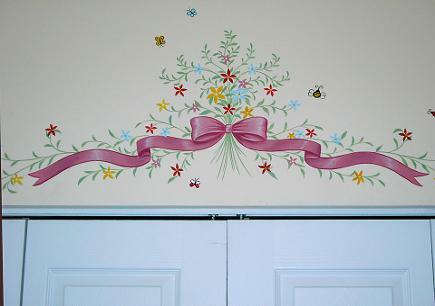 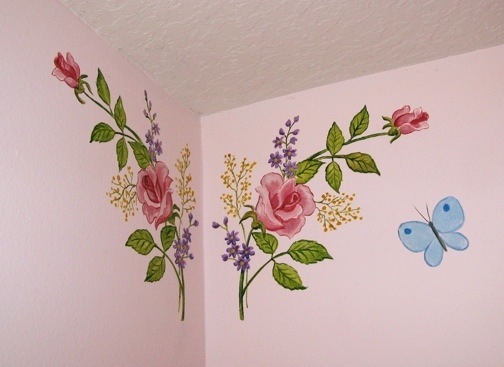 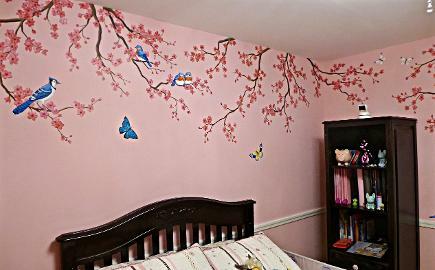 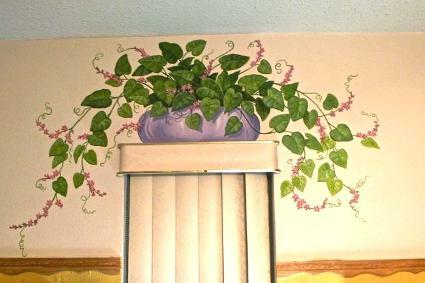 Below: A roses painted on the wall of my granddaughter's room. 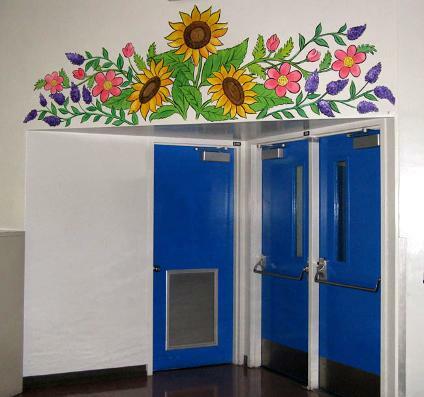 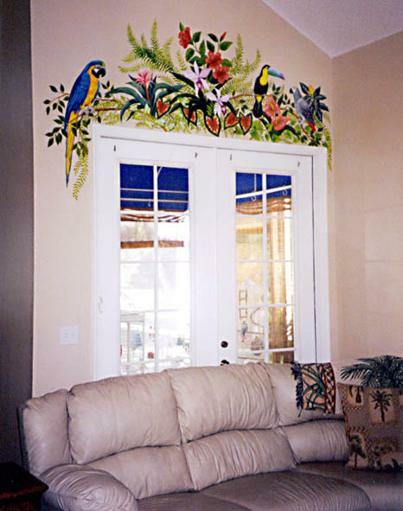 Above: Tropical birds & flowers add special interest to a doorway. 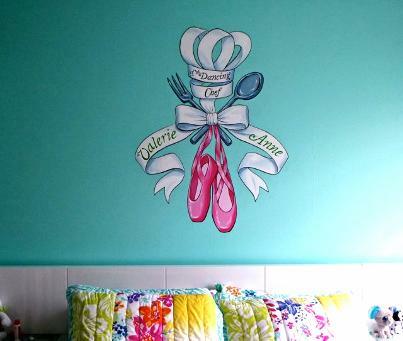 Below: A young girl who loves to dance and loves to cook has her own logo, "The Dancing Chef", painted on her wall. 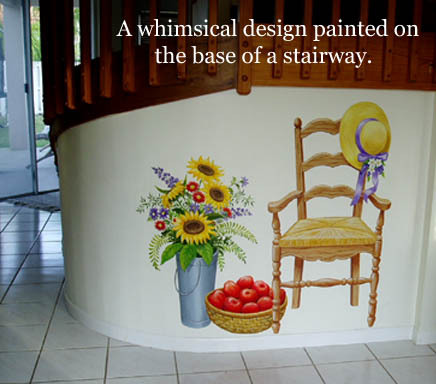 CALL TODY FOR A FREE CONSULTATION! 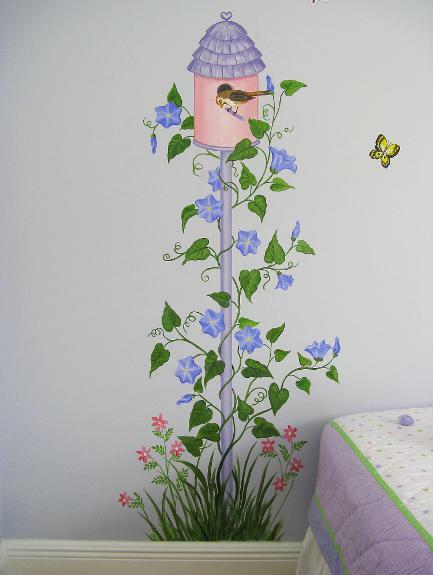 Above: Morning Glories and a birdhouse add charm to this child's room Below: The beautiful corbel filled with Ivy is just a painted illusion on the wall of this restaurant. 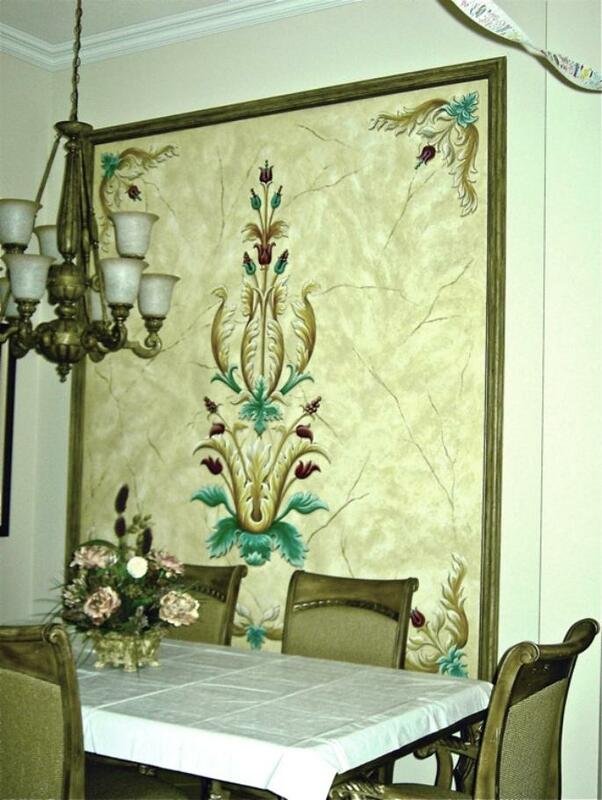 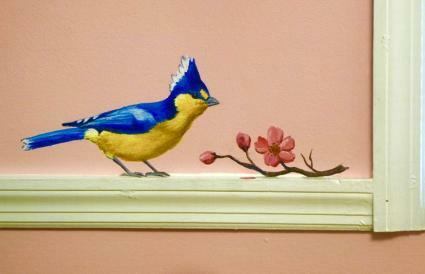 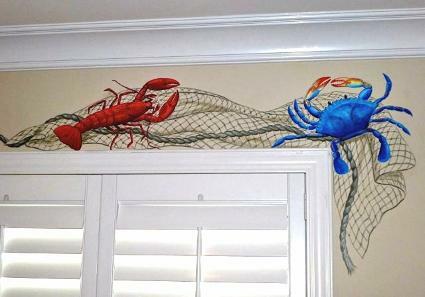 Below: A jersey hanging on the wall - a painted illusion. 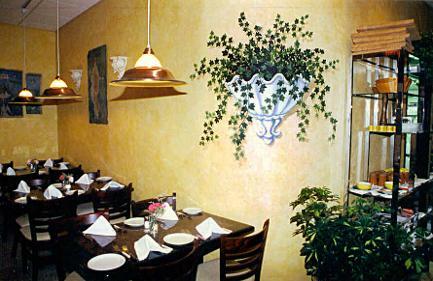 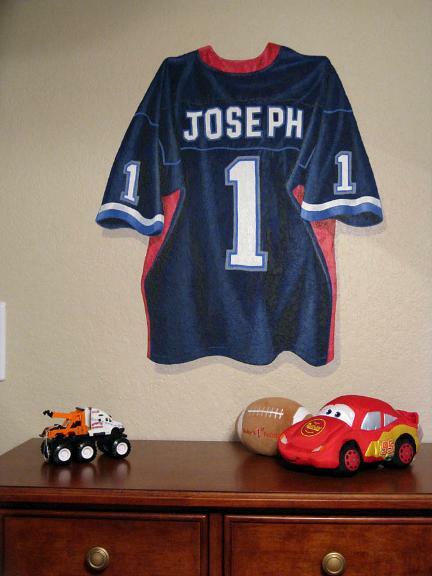 Above: A jersey hanging on the wall is a painted illusion. 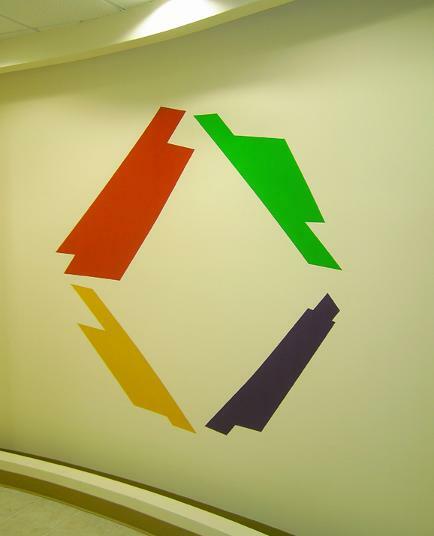 Below: A company logo in the main hallway of the business. 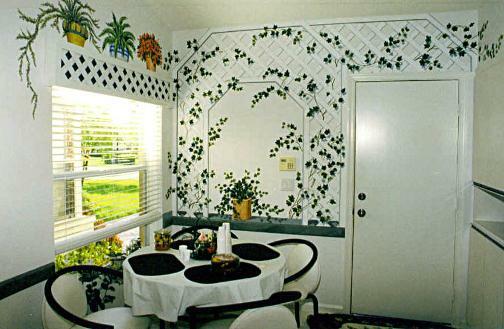 Little decorative touches make a big difference!